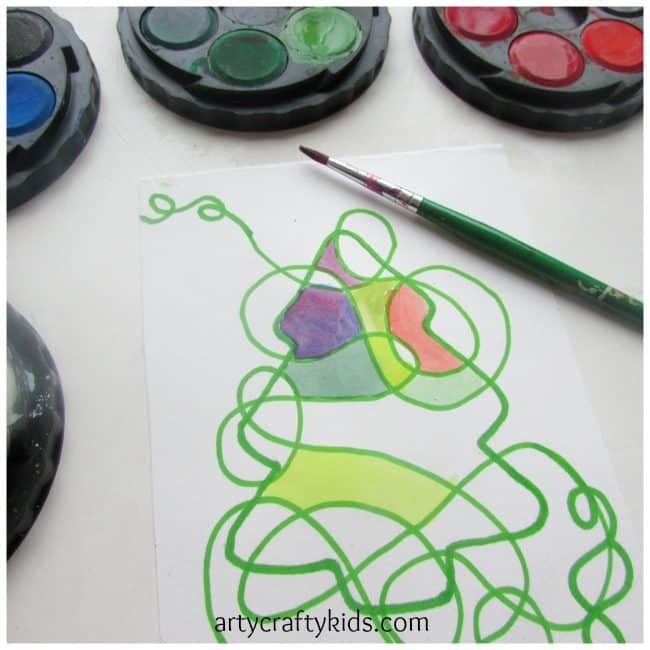 We love to doodle, we love simple art ideas and LOVE colour! 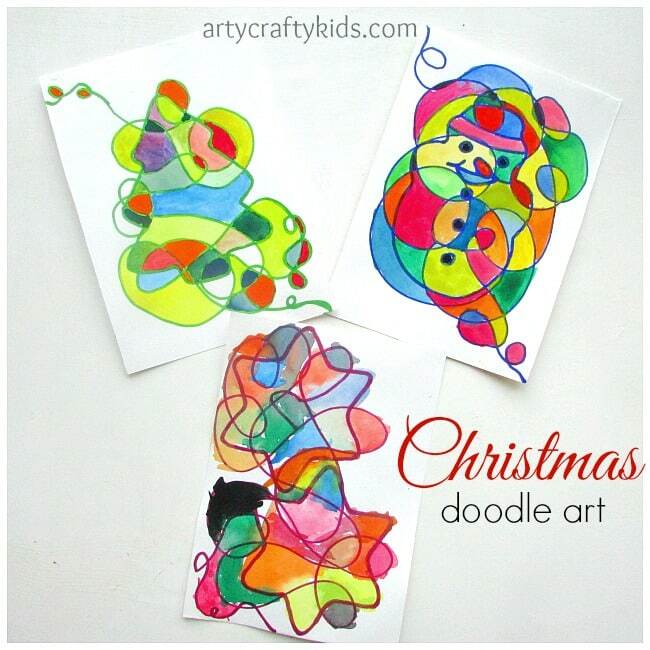 making this Christmas doodle art idea an instant success with the kids. 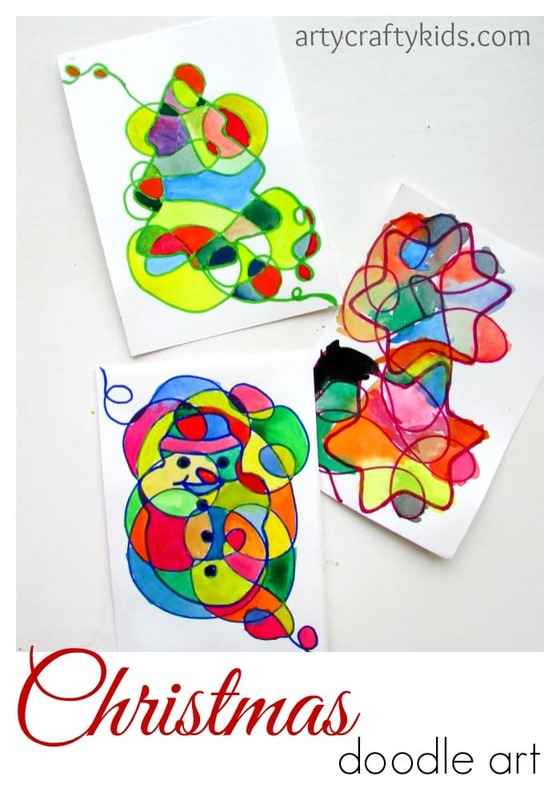 Using just a few materials and with a preparation time of less than 5 minutes, the kids were enjoying the Christmas vibe for hours as they carefully painted their Christmas trees, snowmen and festive stars in an array of different colours. 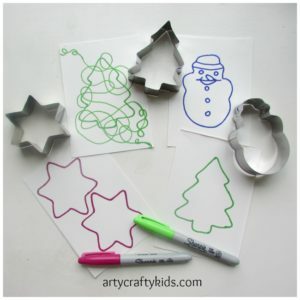 To get started, simply draw around the Christmas themed cookie cutter and doodle twirls and swirls on top using a sharpie pen. Explore the full palette of watercolours and fill in the doodle twirls with different colours. 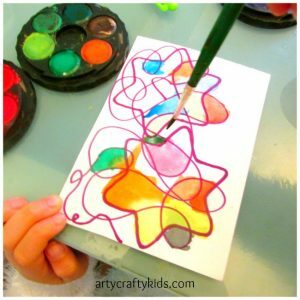 This is a great opportunity for your kids to get experimental with the watercolour medium; mixing colours, applying different ratios to water and paint to create different shades and to quite simply, having a good ol’ play!